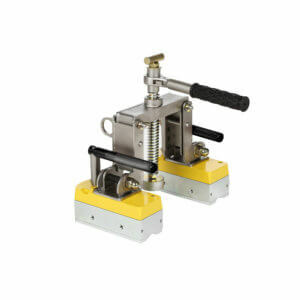 With the Magswitch MagPress, align large steel sheets with precision. 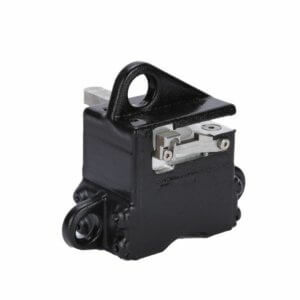 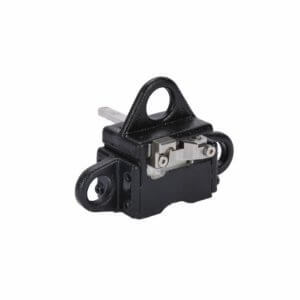 Switch On/Off 1100 pounds of magnetic hold force by rotating the black knob. 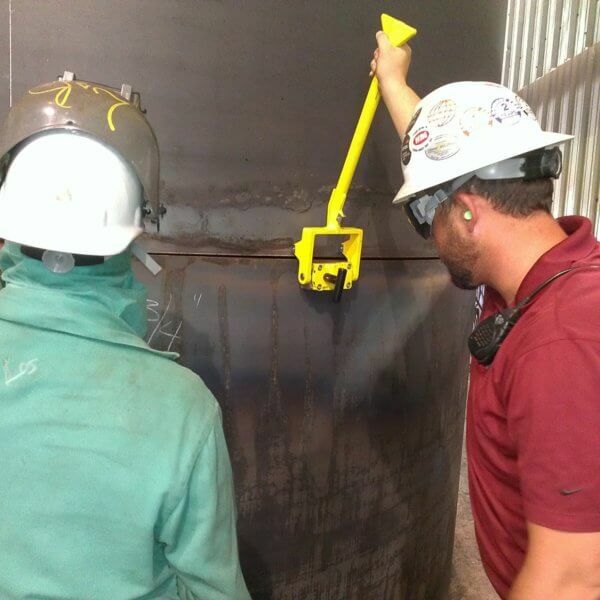 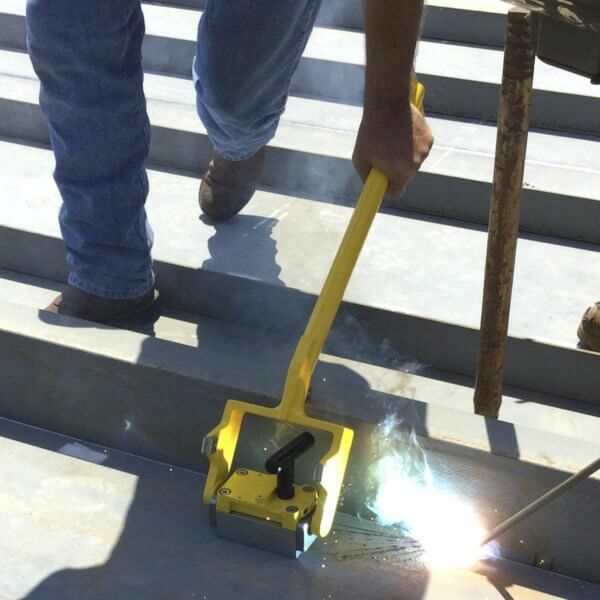 Equalize high and low points between steel gaps by placing the magnet on low, pry on high and weld! 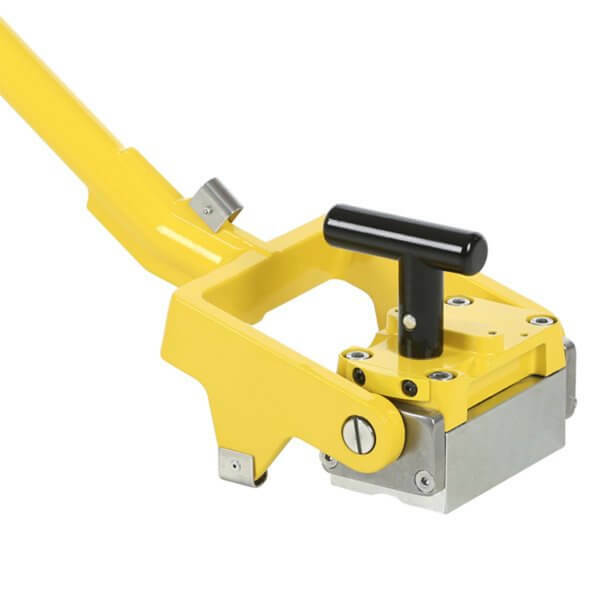 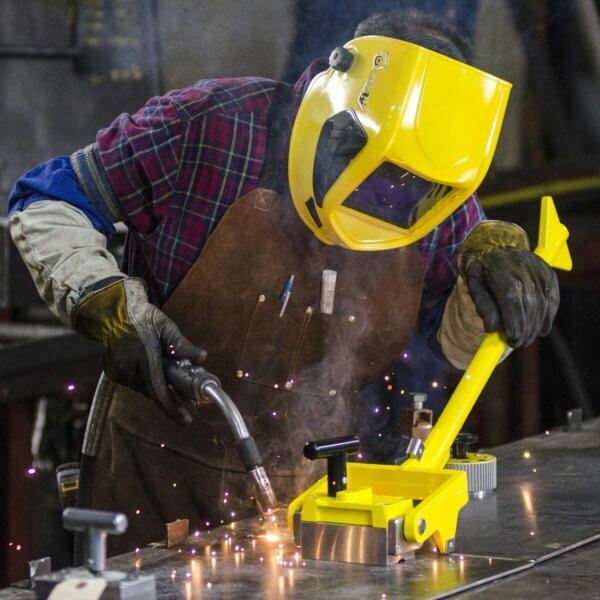 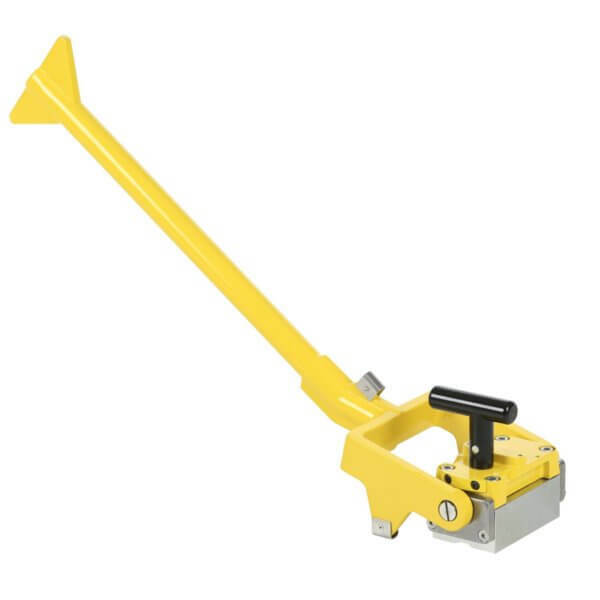 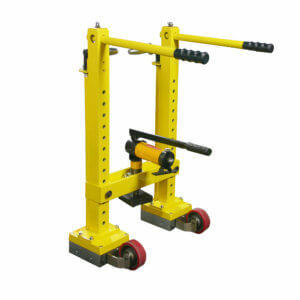 Turn the handle to the side and this tool becomes a beam press which can press a 4-6” beam. 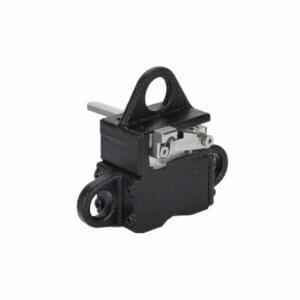 Magnets turn completely On and Off. 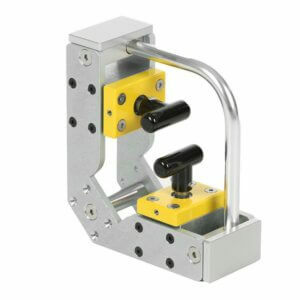 Two functions in one: Alignment and Beam Press.